Data Collection and Kits | Greenjacket Inc.
Data Kits are available for customers who prefer to have their certified linemen or substation personnel collect equipment measurements. Precise-fit covers mean that all risk points for contact, regardless of the underlying equipment configuration, are covered. This means no gaps and coverage extending out a sufficient distance to mitigate contact from the species domain to the geographic area where the equipment is located. For example, we recommend 3 feet of coverage extending up or out from the equipment where raccoons are the issue. 3 feet is the reach a Racoon makes when climbing equipment. Coverage recommendations based on the species at issue makes sure the site is best protected from the risk of an outage. To design precise fit covers, Greenjacket Inc. uses patent pending attachments, cameras and view finders mounted on conventional and rated hot sticks to gather eye line images of equipment. From the data collected, the images are processed using a patent pending process toward the end design of our covers. Some of our customers collect their own data using our Data Kits and provide the images to us for processing. This option is available for customers who prefer to have their certified linemen or substation personnel collect the data or where Greenjacket Inc. has been written in to a customer’s Engineering Standards and volumes of images for stations or equipment are being taken. 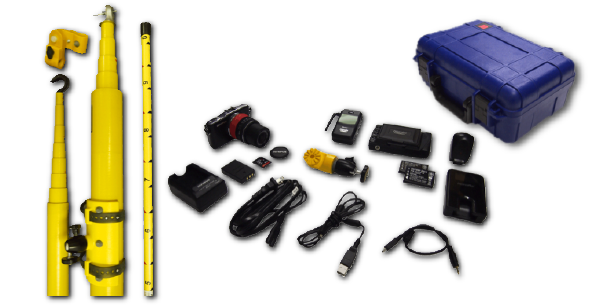 We have been told that the use of our Data Collection Kits is also valuable for maintenance inspections and eliminates, at times, the need for lifts to inspect equipment. Our Data Collection Kits are available for sale for customers who have purchased Greenjacket products.